In knitting our top-down Twisted Rib Pullover, every little design decision left a trail of thoughtful details: a ribbed raglan yoke, split side seams, a shaped front hem, and a choice of three sleeve lengths: cap, elbow, or long. Whichever you choose, it's a classic knit! 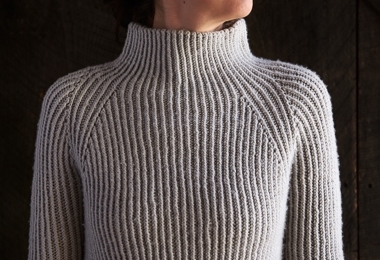 In our 100% merino Worsted Twist, the simple twisted rib takes on a crisp definition, while the sweater itself is as soft and cozy as anything! Available as a PDF download, for more information, including materials, gauge, and sizes, please click Product Details, above.